I have many fond memories of my dad growing up as a little girl. He taught me to ride a bike, throw a baseball, and when the time came, he taught me to drive a car! I bought my first car at 15 years old, a 1975 Pontiac Ventura that needed a ton of love and my daddy told me that half the responsibility that comes with having a car is fixing it when problems arise. Changing the air filter is where it all began! Little did I know that later on, I’d be able to pass down the knowledge that my dad imposed on me to my oldest daughter Ava. My experience lies mostly in older model vehicles; I had no idea that there was such a thing as a cabin air filter or that it FRAM recommends changing your Cabin Air Filter every 24,000 km, though you should always check your owners manual to be sure. We replace the filters in our vacuum cleaner, coffee maker, even the heat registers at home, why wouldn’t there be a filter to clean the air entering the vehicle? 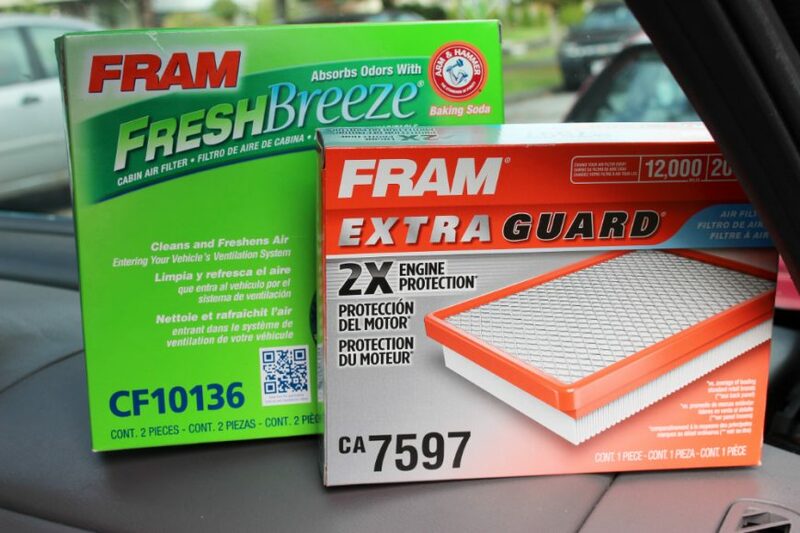 Dirty cabin air filters reduce the efficiency of heating, defrosting and cooling system, and I love the Fram Fresh Breeze is the only cabin air filter that uses the natural deodorizing Arm & Hammer baking soda. 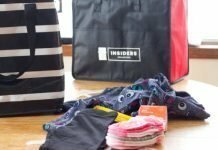 Did you know that the air inside your vehicle can be up to 6x dirtier than the air outside?! I think of all the pollutants outside our vehicles and how quickly we close our windows in the car to protect our littles when quite often it’s worse inside the car! Think about all the maintenance that your car needs throughout the year. Changing your FRAM Fresh Breeze Cabin Air Filters and FRAM Engine Air Filters are two of the easiest solutions to aid in proper vehicle maintenance. 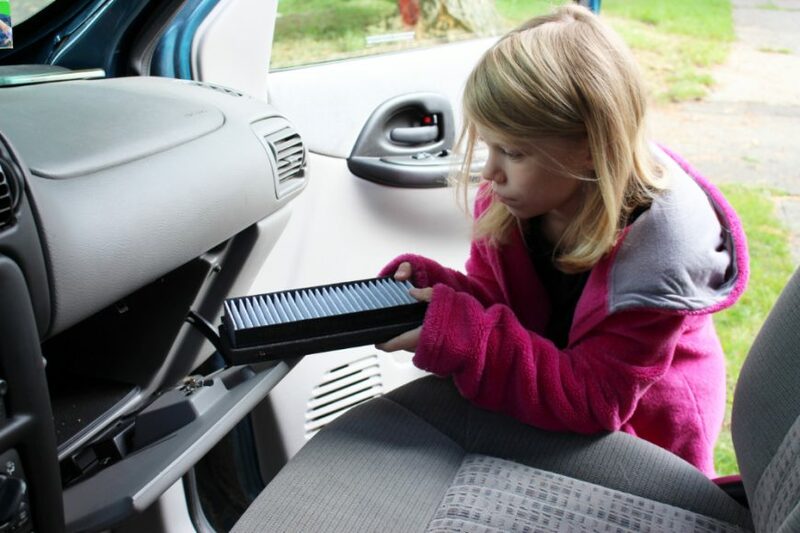 With instructions in every box and video’s on the internet, changing the cabin air filter can be installed in as little as 15 minutes, and it’s so easy even a 7-year-old can do it! 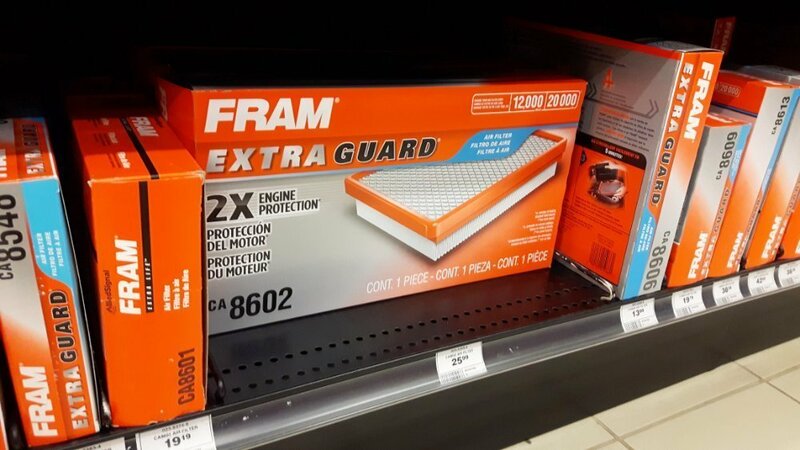 The girls and I headed off to our nearest Canadian Tire to find FRAM Fresh Breeze Cabin Air Filters and FRAM Engine Air Filter. I love that she will grow up knowing that car maintenance isn’t just for men and that she can do anything she sets her mind to, including changing filters. 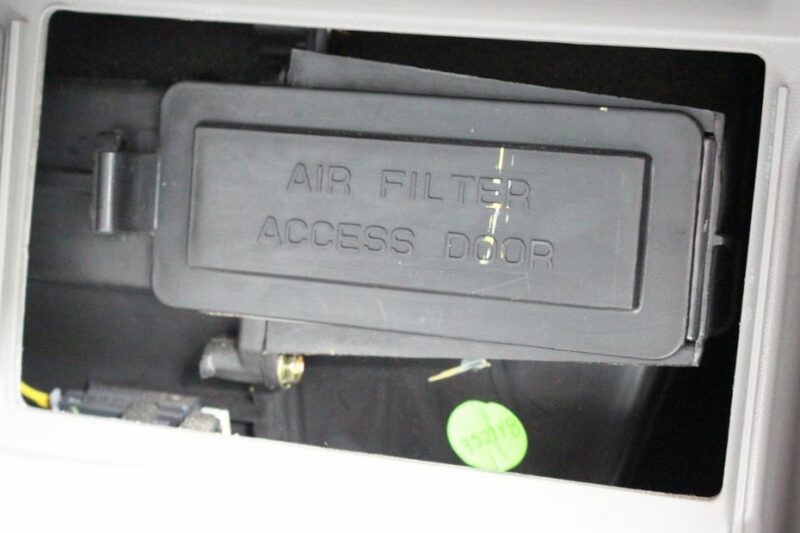 Step 1) To access the cabin air filter, open up the glove box of your vehicle, open the compartment at the back of the glove box, which should expose the air cabin housing. Step 2) Once you reveal the cabin you’ll see the Air Flow compartment. Now, to remove the cabin air filter cover just squeeze the outside and it should come right off. Ava had some minor difficulties with this part, so I stepped in to help. Step 3) Once opened, you will find your Air filter. Once your air filter is exposed, you can gently slide it out of the compartment and give the inside a quick wipe down to remove any excess debris or dust. Step 4) Let’s take the old one out, and put the new one in. Both Ava and I were sufficiently grossed out by the difference in how clean the new one is. To install the new one, just slide the new filter back into the compartment, pop the housing back on. 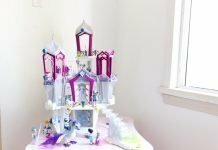 Easy as 1,2,3 and this is now Ava’s favourite “chore”! Don’t stop there, FRAM suggestions changing both the Cabin Air Filter and Engine Filter at the same time. As both the air filters and cabin air filter are subjected to the same air and driving conditions, if one needs changing, they probably both do! With a few pops on the engine air filter compartment, Ava and I located the old filter and replaced it with a fresh new one. You may need some simple tools to remove your cover, but total it took us about 5 minutes. 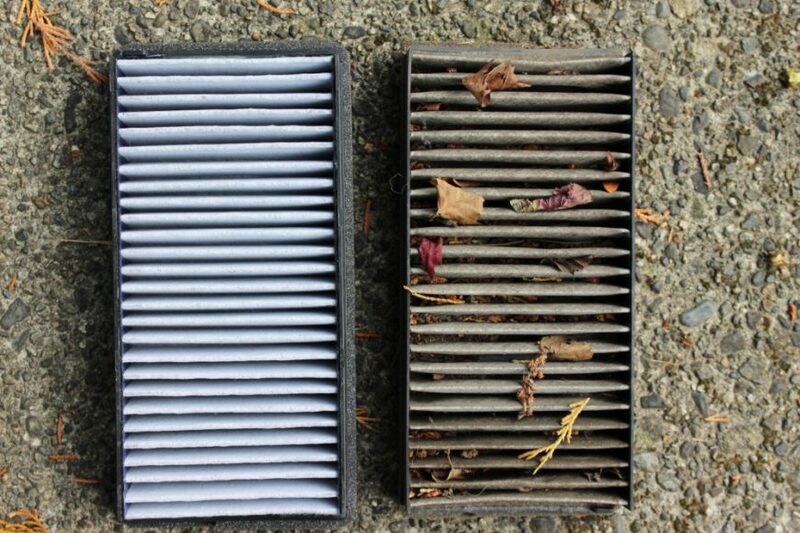 Your engine air filter, when left unchanged, can cause more damage than you’d ever think. A dirty filter will restrict air flow to your engine; this can contribute to decreased acceleration and restricted airflow. This will decrease acceleration, horsepower, and reduce overall performance.This easy routine maintenance that you can do on your own – in under 15 minutes and like I said, it’s so easy even a 7-year-old can do it! 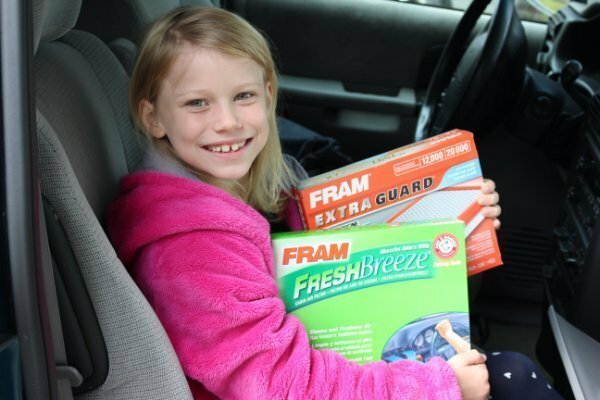 Head on over to the FRAM website to read more and see if your vehicle has a Cabin Air Filter. Did you know that you can save time and money by changing the air filters yourself? Comment below and let us know?